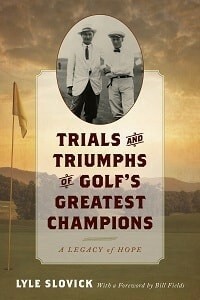 I really enjoyed Lyle Slovick's history filled novel, "Trials and Triumphs of Golf's Greatest Champions: A Legacy of Hope". Although knowing very little of all 7 people he chose to write about, I felt after reading his novel I had gained some insight into their lives both on and off the golf course. Golf was a game they all loved and inspired them when things in their lives might keep most from just giving up. Inspirational for golfers and non-golfers these individuals who were and are part of golf history had to endure both personal and physical challenges and Lyle weaves through their lives with a fine toothed comb. His adaption of their lives through extensive research was remarkable but it was neither over the top or borish. 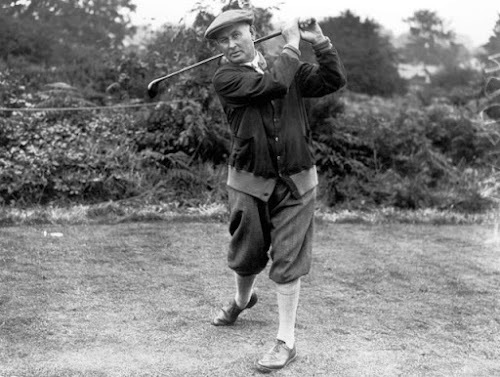 A few pictures for ever chapter also had me googling other black and white photos especially of Harry Vardon, Bobby Jones and Ben Hogan. Summertime reading is suppose to be fun because a lot is done on or near the beach or hanging out with your kids. Generally I don't want something to read that's going to bog me down. I usually catch up on reading issues of Golf Digest or a good book of short stories. At just over 300 pages Trials and Triumphs is perfect for anyone who enjoys golf. A historical and inspirational novel to immerse yourself in this summer. Lyle Slovick is a historian and golf enthusiast, having played and studied the game for over 40 years. He has an M.A. degree in American History and is a former Assistant University Archivist at the George Washington University, where he worked for 13 years amongst the rare books and manuscripts in the Gelman Library Special Collections Department. Lyle enjoys telling stories that shed new light and offer new perspective on often well-trod subjects – what he describes as “augmented interpretation.” This book is an expression of his passion for the game of golf, which has taken him to various major championships around the world, including the Old Course at St Andrews, Scotland, the home of golf. 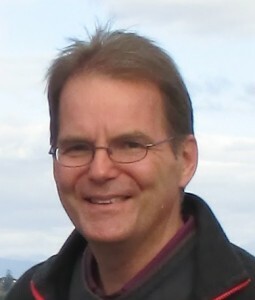 Lyle enjoys travelling, reading (especially biographies), and resides in Bedminster, New Jersey, where he currently works as a consultant for the United States Golf Association.Find out more about Lyle at his website, and connect with him on Facebook. I'm glad to see that this was light enough to be perfect summer reading for you! Thanks for being a part of the tour.